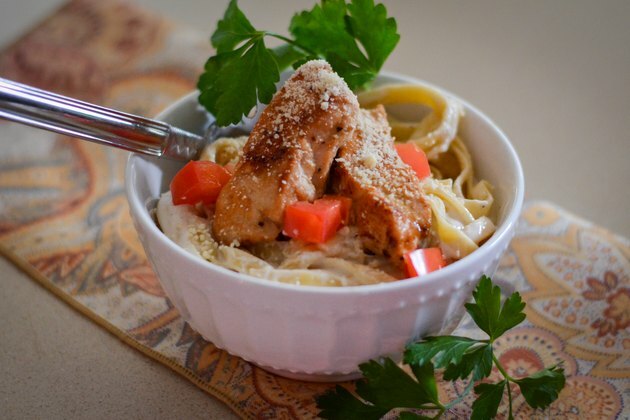 A plate of pasta topped with creamy Alfredo sauce and chicken is a hearty meal option. 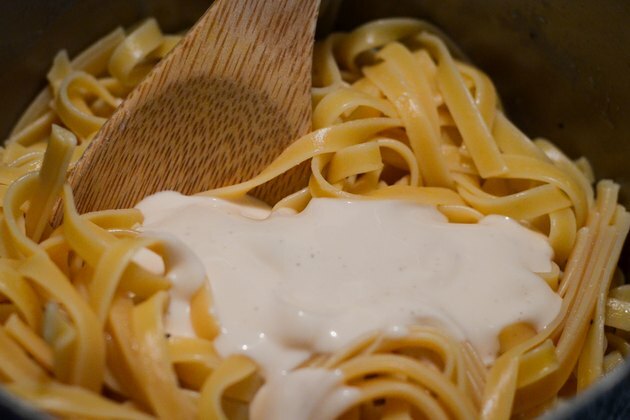 To speed up dinner, instead of making your own sauce, use a jar of prepared Alfredo sauce to simplify the dish. 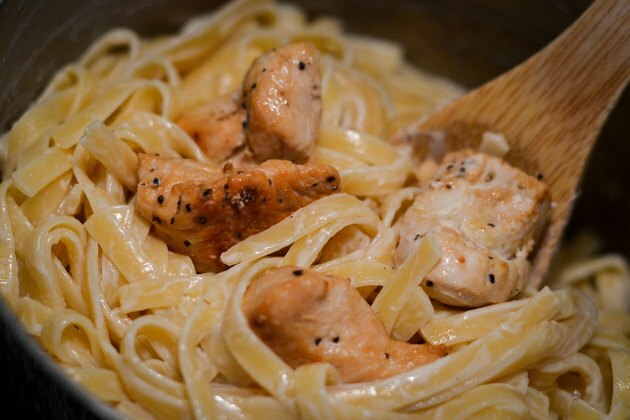 As Alfredo sauce is typically high in fat and calories, compare nutrition labels to find the healthiest option. 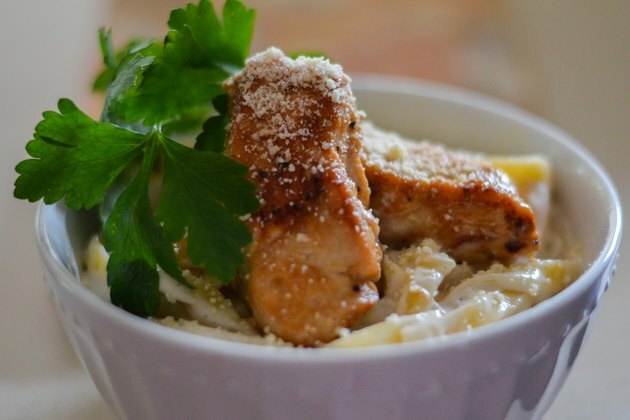 Adding vegetables to the dish and using lean breast meat also increases the health value of chicken Alfredo. The pasta dish reheats well if you make extra and have leftovers. 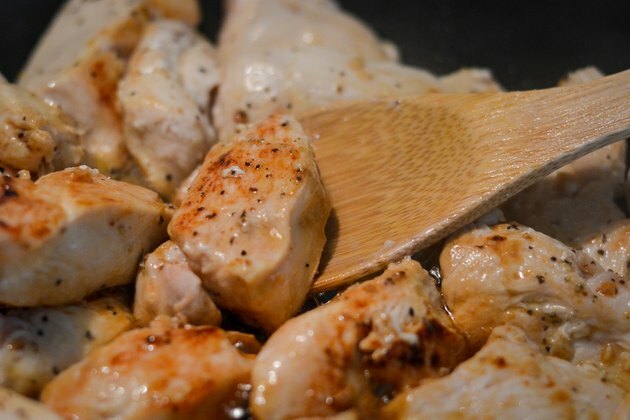 Trim the chicken breasts to remove any pieces of fat and cut the chicken into 1/2-inch strips. Season the chicken strips with salt and pepper. 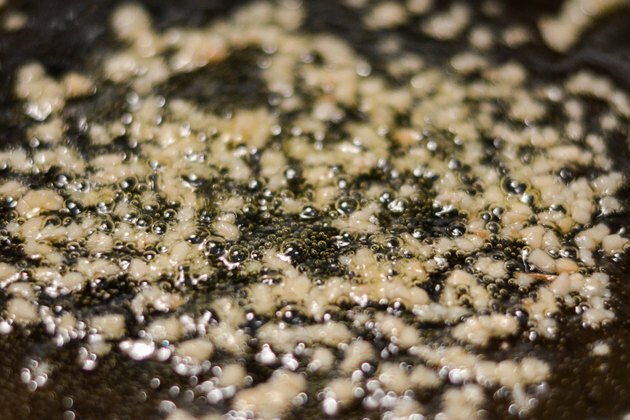 Heat the oil in the skillet over medium-high heat and add the garlic to the skillet. Cook for one minute. Add the chicken to the pan and cook it for eight to 10 minutes or until the poultry is cooked through. Stir the chicken as it cooks to brown it evenly. Boil a pot of water with 1/2 teaspoon of salt added while the chicken cooks. Add the fettuccine to the boiling water and cook it according to the directions on the package. 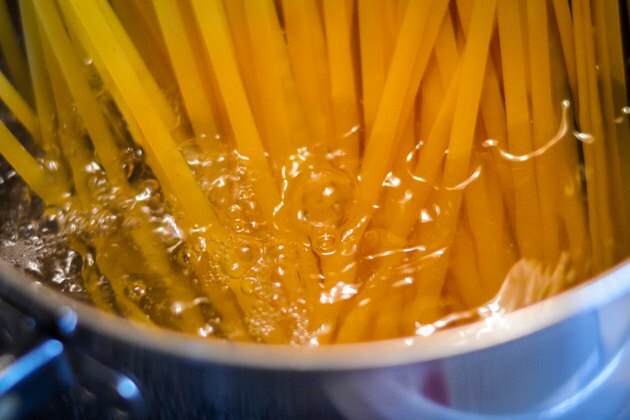 Drain the pasta in a colander and return it to the pot. 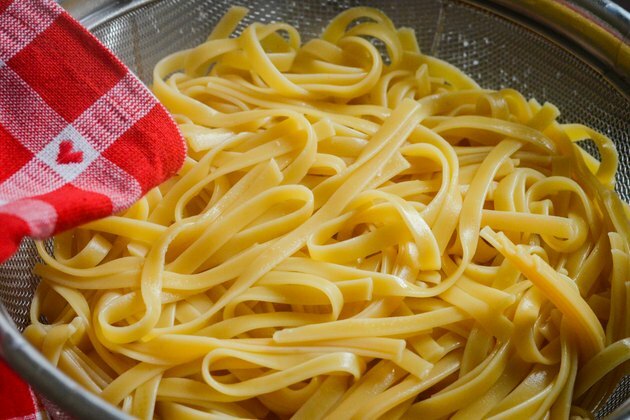 Pour the jar of Alfredo sauce into the pot with the pasta. Stir the pasta so that all of the strands are coated with the sauce. Stir in the cooked chicken strips. Top the pasta dish with freshly grated Parmesan cheese and fresh parsley. 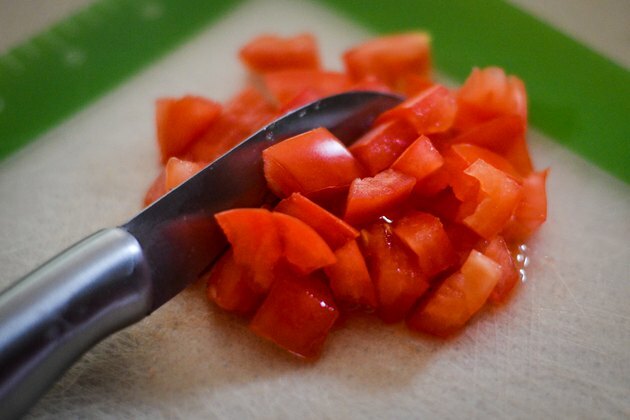 Add chopped tomatoes to the top of the chicken Alfredo just before serving. Steam or saute squash, broccoli and bell peppers if desired and stir the vegetables into the pasta with the chicken. Another alternative is to add mushrooms when the chicken is almost done and then deglaze the pan with white wine before adding the sauce.